As we celebrate Listening and Spoken Language in 2019, we would like to invite you to attend the first-ever Global Listening and Spoken Language Symposium in Madrid. Every day, AG Bell and AG Bell International enthusiastically bring our mission of “working globally to ensure that people who are deaf and hard of hearing can hear and talk” to more children, families, and adults with hearing loss, and the professionals who serve them. The Global Listening and Spoken Language Symposium is a place to learn, network, and connect with a community of professionals who serve those who are deaf and hard of hearing. As you will meet new and old friends and colleagues from around the world, we encourage you to seek out the many opportunities to continue those connections over time by engaging with AG Bell chapters in the United States and with AG Bell International, and by volunteering with us. Your involvement gives a greater voice to the needs of children and adults with hearing loss, and we hope you will carry forward the information you receive over the next three days and share with others. There is remarkable work being done in our field worldwide – early identification of hearing loss and technological advances have revolutionized access to sound and the spoken word, and we are seeing their effects in the outstanding progress children who are deaf and hard of hearing are making in their development of literacy and success in mainstream society. Yet, there are still many children who do not have the opportunity to advance through Listening and Spoken Language. Too often families do not receive comprehensive, accurate information about their choices. Families unware that their child can learn to listen and speak. Additionally, too often families are not connecting with or cannot locate a qualified specialist who can expertly guide and partner with them on their journey toward listening and spoken language. 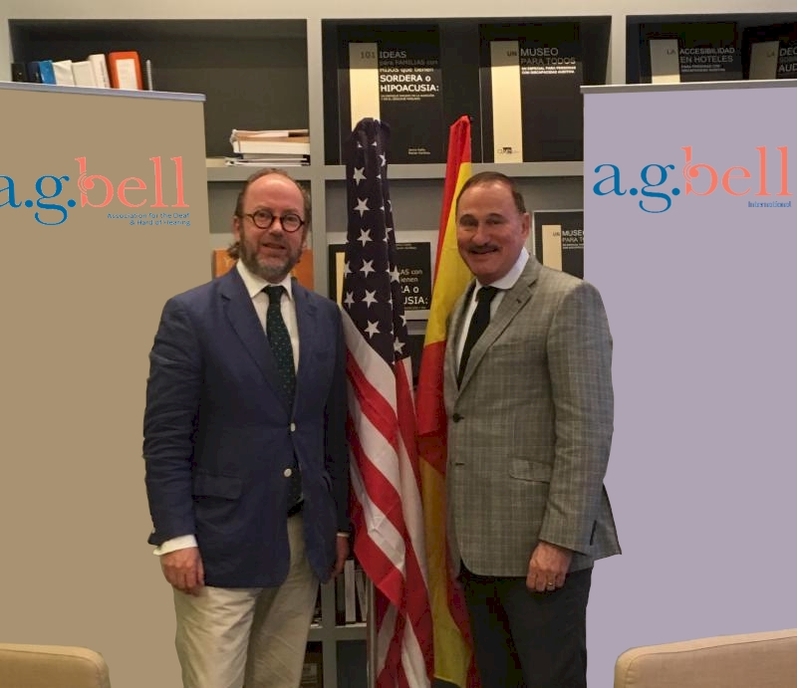 AG Bell together with AG Bell International are focused on removing these obstacles, and we are committed to ensuring that access to information, education, and other services reaches those around the world who could benefit from Listening and Spoken Language. The AG Bell Academy for Listening and Spoken Language is delighted to announce that we have an updated Listening and Spoken Language Specialist (LSLS®) certification examination in English, and that this exam can be taken at more than 1000 test centers in more than 100 countries around the world. There are more than 850 certified LSLS professionals worldwide. Our work is never done as we hope to significantly increase the number of children who have access to a Certified Listening and Spoken Language Specialist (LSLS Cert. AVT or LSLS Cert. AVEd) by enabling more qualified professionals to undergo the certification process and take the exam. To that end, the AG Bell Academy will work with expert test vendors in early 2019 to adapt and translate the new certification exam into Spanish. The Spanish version is expected to be available later this year. Everywhere you look at this year’s event you will find many new resources, including brand new websites, www.agbell.org and www.agbellacademy.org, the AG Bell and AG Bell International exhibit table with valuable takeaways, the Research Forum, and more, to help you spread the word about Listening and Spoken Language and the association! We look forward to meeting many of our friends, colleagues, and new attendees from around the world this year. Feel free to connect with us throughout this year’s symposium. We want to hear your thoughts and experiences, and we hope you enjoy your time here in beautiful Madrid!